Insiders know more. 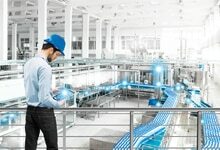 Motor feedback systems in the field of robotics deliver the data on speed and position as well as on the condition of the drives to the control system. They thereby create the sensory foundation for all robot movements. 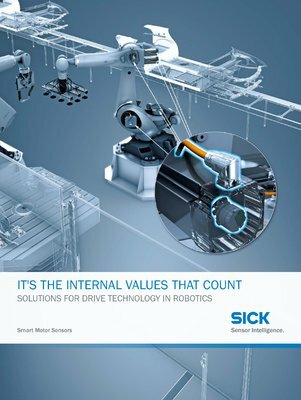 These Smart Motor Sensors from SICK are right in the center of the action and provide the necessary data for the efficient control of the robot and the plant. 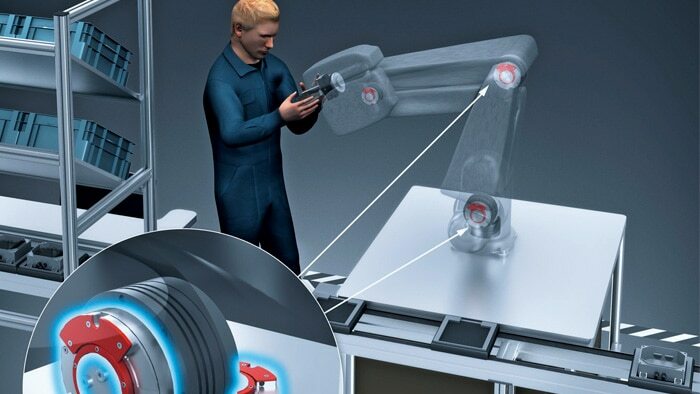 With its compact design, the EEM37 motor feedback system is suitable for all articulated arm robot versions. With HIPERFACE-DSL® technology, it enables new applications such as safe robotics for optimal human-robot collaboration. SEM70 is a motor feedback system with HIPERFACE® interface for large hollow shaft and torque motors. The hollow shaft enables cables to be routed internally for SCARA robots. The TTK50 and TTK70 motor feedback systems work with a non-contact measurement principle and are therefore wear-free. Thanks to the absolute length measurement system, reference runs are no longer necessary. This makes the system ideal for linear applications for measurement lengths of up to four meters. Due to its compact design, the SKM/SKS are well-suited for very dynamic applications such as delta robots. 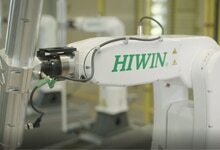 All variants feature an electronic type label and a HIPERFACE® interface and fulfill the safety requirements according to SIL2/PL d.
Robot manufacturer and expert in linear technology HIWIN is using motor feedback systems from SICK in its new 6-axis robots for pick-and-place applications. This saves space and ensures that the 5-kilogram robot is also fit for future collaborative applications.